Amaze your friends, family and teachers with your awesome presentation skills. Are you sick of doing homework on Word and PowerPoint? Do your posters look boring? Do you want to blow your teachers away? Well, let me introduce you to Prezi. Prezi is a great website to make your posters on and it is oh so fun, you write what you want to write and then make a path through your thoughts and you will be amazed at the outcome. Spinning information and learning while having fun. This is so easy that my little 8 year old sister can do it. If you like the look of it then try it for yourself and be astounded. 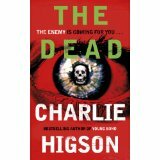 This is the second of the ‘The Enemy’ series, The Dead. Jack and Ed are best friends in this time of crisis. Their friendship will be tested to the limits when they are battling these zombies, (Sickos they call ’em). They must escape from the school and fight their way out, all the while watching a girl being trapped in a school-house. Once they have saved her they cross the road to the local church, only to find Matt, one of the most strong-willed, quick thinking boys from the community has gone crazy and is thinking a boy, called ‘The Lamb’ is going to save them all. I give it 10 out of 10 and almost everyone will love it. If you’ve read The Amulet of Samarkand, The Golem’s Eye, and Ptolemy’s Gate, you’ll love The Ring of Solomon. This is a great series if you love Harry Potter and Charlie Bone. Get your copy from the library today. 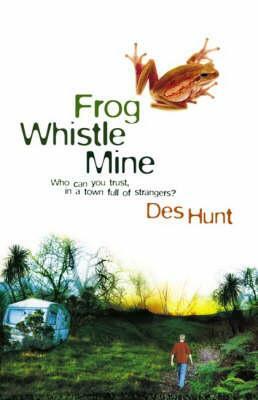 Frog Whistle Mine is Des Hunt’s fourth novel and the first book about Tony’s adventures. Tony and his mum move to Charleston, where there are abandoned mines to explore and friends to make. It seems Charleston might just be the place for them. Below the quiet, deserted surface of the town, however, is a shadowy mystery, lurking as deep as the mine. The few residents of Charleston hide many secrets, as Tony discovers. Tony and his new friend Rose are intrigued, and bit by bit, begin to piece it all together. I am now reading the sequel, Shadows in the Ice, which is proving to be as great a read as this book. It’s now time to start writing. Beginning a story requires a lot of thought. In the first few chapters there is so much information that the reader needs in order to make sense of what is happening. The difficulty is giving that information without making it boring. Here are the first four paragraphs of Steel Pelicans. “As always, the view was fantastic. Looking north Pete could see across Port Kembla to the centre of Wollongong and a little further up the coast until the haze merged sea and hills into one. Somewhere up there, less than 50 kays away, were the southern suburbs of Sydney. The view to the south was equally spectacular with a long curving golden beach backed by the near vertical hills of the Illawarra escarpment. In the foreground, a group of surfers floated, waiting for the swells that could be seen arcing across the bay. Pete wished he was down there with them instead of up on the hill acting as lookout. It hadn’t been his idea to come here. He’d wanted to do it in the culvert down by the shore which was where they normally went. But Kyle had said that his new and better bomb needed somewhere different, and as usual Kyle had got his way. So Pete had been sent up onto the lookout to warn if anyone was coming, while Kyle and the others broke into the building below. So far, the only spies he’d seen were the pelicans riding the updraft in the afternoon sea breeze. The explosion will, of course, go wrong, giving an exciting start to the story. It also gives the opportunity for Pete and Kyle to show their strengths and weaknesses. I like some excitement at the start as I believe it helps the reader connect with the story. Once I have their attention, I can then take things a little slower for a couple of chapters or so, and get all the essential information out of the way. That brings me to the end of this month of blogging. I’ve enjoyed it, and have been surprised by the way that writing about the story has helped me develop my ideas. Will Steel Pelicans ever get published? I don’t know. All I can say is that it is seven years since I had a book rejected by a publisher. That doesn’t mean that it couldn’t happen again: I’m always wary that if I let my standards drop I could once again get one of those dreaded rejection letters. If it is accepted, it will be 2012 at the earliest before it appears in bookshops. And it might not even be called Steel Pelicans. As a writer I can never be sure of anything until a contract is signed. Many thanks to Zac and the team at Christchurch City Libraries for their help and encouragement. Ka kite. This is the second book in the Leviathan trilogy. Alek and Deryn are still running and hiding secrets. They are with the Leviathan when the captain plans to bring Istanbul into the abnormal war. The two of them are all caught up in this devious plotting and must do something like blow up a few war machines and save the Behemoth, a brand new monster kracken. They are going to destroy the Germans gift. Will they be able to do it in time or will they fail!? 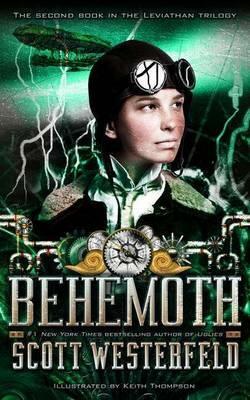 Read Behemoth and find out. Hot off the press and ready for the Christmas gift giving comes The Longest Whale Song. Ellas life isn’t going so great. She doesn’t like her grumpy step-dad, baby Sam cries all the time and her best friend wants to be friends with Dory. The worst, worst, worst thing of all is that her mum is in hospital in a coma. Ellas school project on Whales helps Ella discover that Whales sing to each other underwater and lots of other amazing things about them. 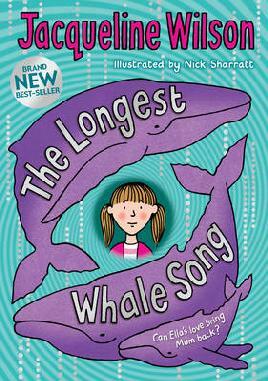 Could a whale song help them get through to her mum? This is yet another very readable book by Jacqueline. Ella does alot of growing up in this book and a number of her relationships with people change. She even makes a new friend. The medical stuff about Ellas mum can be quite difficult to read so I’m recommending this for intermediate aged kids 11 to 13.